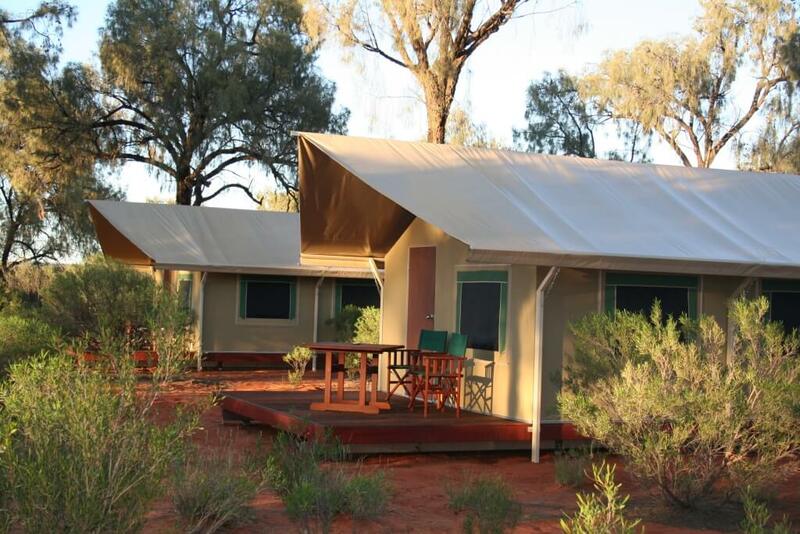 The four star Kings Canyon Wilderness Lodge is situated on the Kings Creek Station, a fully operational cattle and camel station. 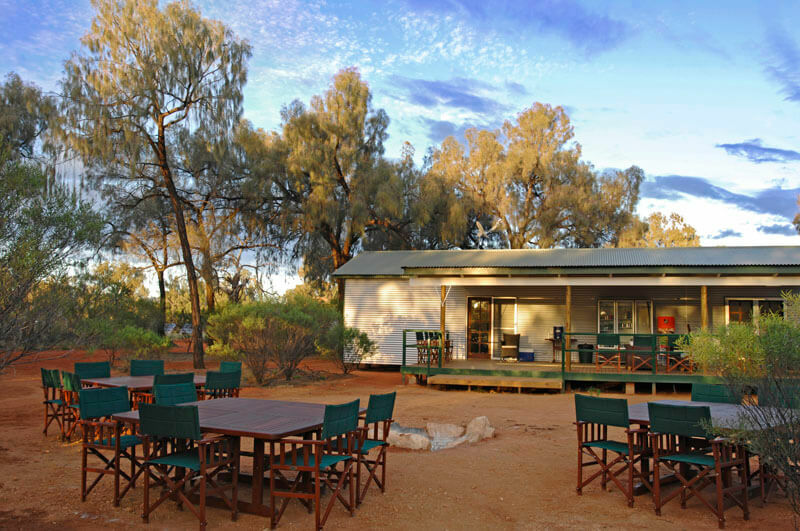 Set in secluded part of the station among the desert oak trees, the lodge offers comfort in the Outback and easy access to Kings Canyon. 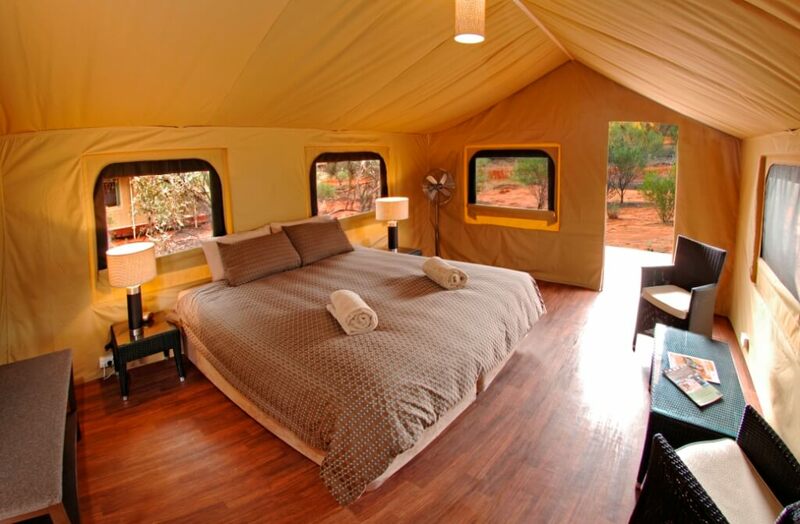 The exclusive Luxury Tented Cabins feature en-suite bathrooms and air-conditioning. 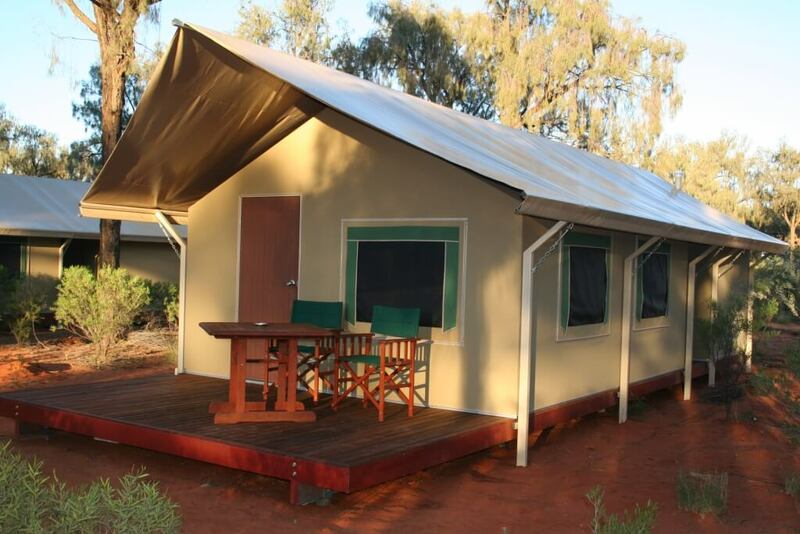 Each cabin has its own back deck with table and chairs to enjoy the peaceful atmosphere and natural landscape. 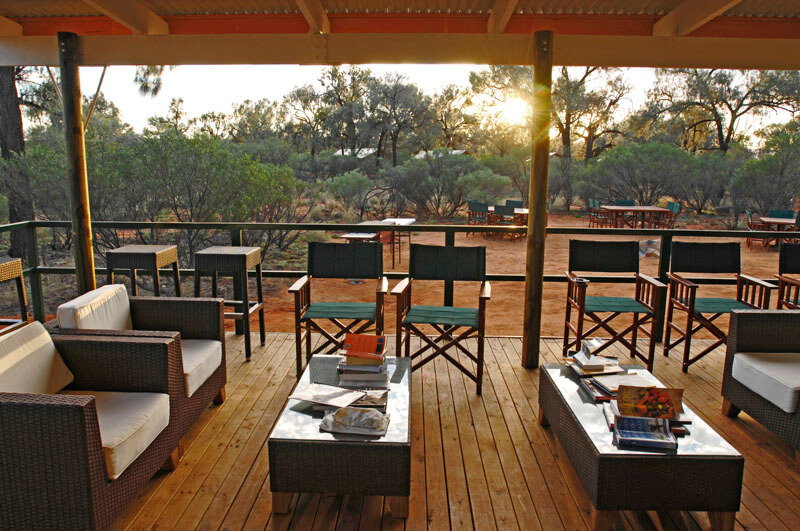 Three course gourmet dinner is served around the campfire under the stars of the southern sky (weather permitting).